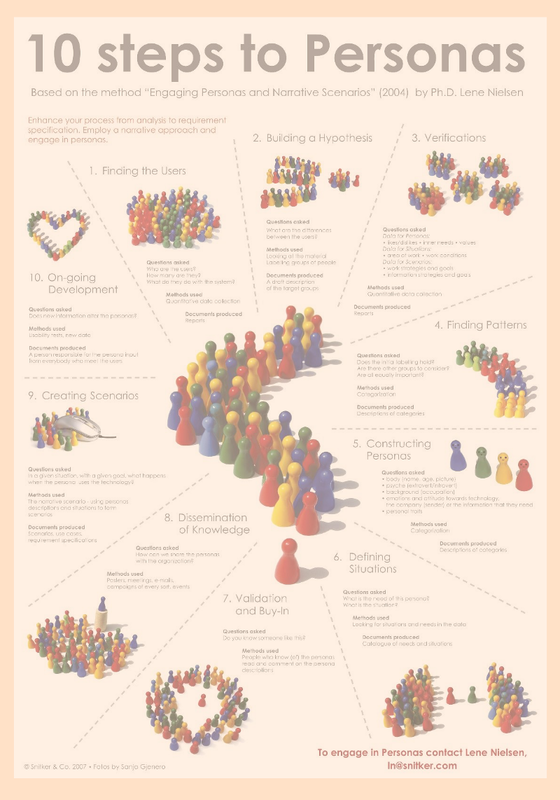 How Personas shaped our Design thinking? Personas in design thinking helped to understand our users well and designed the product the user really needs. Personas are fictional characters, which you create based upon your research in order to represent the different user types that might use your service or product. It is an Imaginary character but added with the real world qualities such as Characteristics, Goals, Frustrations and other relevant characteristics. Personas are the persons who are representing a group of users with different needs, purpose, and expectations, their main purpose is to make the Designer, researchers life easier while designing a product or a service. Need to know whether the product will be useful for these certain type of people before they are entering into the development phase and into the real market. The Personas will be given a name and certain personal characteristics such as age, gender, Occupations and a short scenario which will help the designer’s and the product owner’s to decide whether the product or the service will fit in the day to day life of these personas with ease. That will provide a clear picture of the User Experience part of that personas. All the Elements of the personas should be carefully picked because these are the traits that are going to give the results what we are looking for. This is a time-consuming process but worth it. Personas are also very useful when you are running a prototype test with the traits of the personas and find the problems the persona will face on the flow. What is the current behavior of the User? What are the characteristics the user poses? What are the needs and the end goal for the User? What is the current solution to their problem? Why they hate the current solution? Understanding the needs of the user well, you can build a better usable product that users love to use. Well-defined personas in design thinking will help you identify the user needs and communicate better with the right solution the user longed for a long time. Before defining the User Personas you need to better research the user and their behavior and gather an adequate amount of data and organize the data and create your Ideal Customer. The header includes a fictional name, image, and quote that summarizes what matters most to the persona as it relates to your product. Demographic details are factual and based on user research. The demographic profile includes four main sections: personal background, professional background, user environment, and psychographics. The personal background includes details such as age, gender, ethnicity, education, persona group, and family members. The professional background includes details such as job occupation, income level, and work experience. The user environment represents the physical, social, and technological context of the user. Psychographics include details such as attitudes, interests, motivations, and pain points. The demographic profile adds an additional layer of realism to a user persona, boosting empathy when exploring user needs and goals. The end goal is the motivating factor that inspires action, and answers the question: what do users want or need to accomplish by using your product?. End goals are the driving factor of the user to use our product. So have a clear end goal. A scenario is a “day-in-the-life” narrative that describes how personas would interact with your product in a particular context to achieve his or her end goal(s). What does the User what to do with the product ? The objective of a goal-directed persona is to examine the process and workflow that your user would prefer to utilize in order to achieve their objectives in interacting with your product or service. 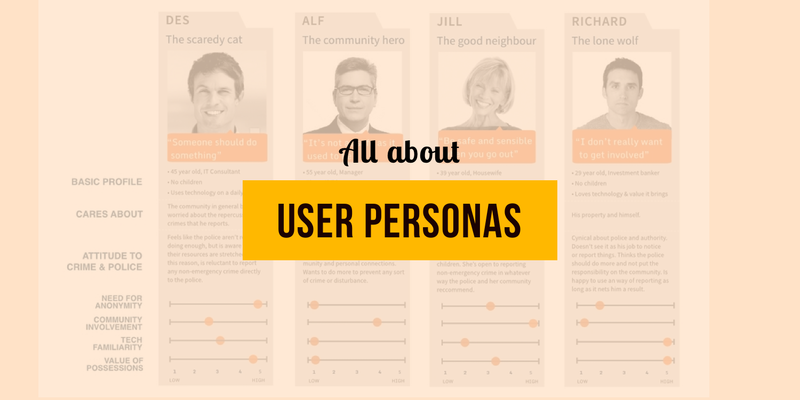 These personas are very useful when there is good user research happens and understand the Product is very useful to these user types and understanding their goals and requirements. Whether our product will be useful to the User from this type? Also Where will this type of user face problems with our product and how to solve them? The engaging perspective is rooted in the ability of stories to produce involvement and insight. By involving the stories and characteristics they can create a realistic description of the user. These Engaging personas involved both Goal-directed and Role-based personas and also traditionally rounded personas. This can help designers to engage with the user’s well and consider during the design process for the suggestion. 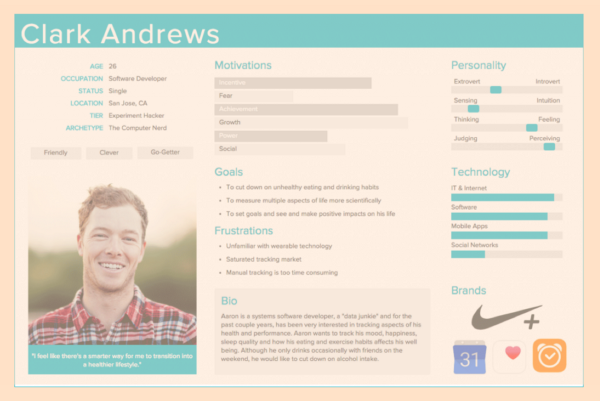 This persona uses the emotions, psychology, and background of the user to understand more about the personas. The fictional personas do not emerge from user research or anything but the experience of the UX team. It requires the design team to make assumptions based on past interactions with the user base, and products to deliver a picture of what typical users look like. The assumptions may be wrong this is just to keep on because there is no time to invest in user research. This is just for the Initial sketch of the user needs. Collection of data: Collect as many data of the user, create high-quality user data from your user group. 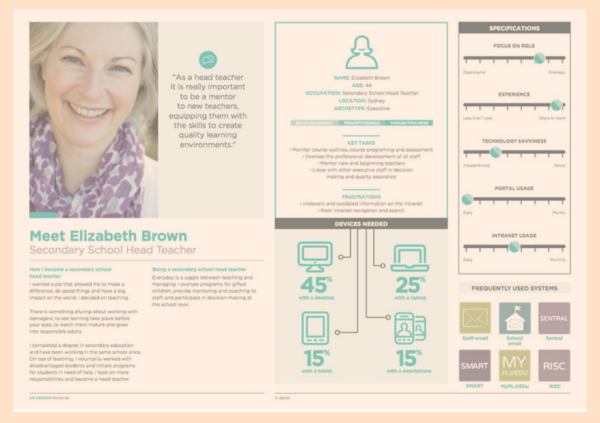 This first steps to create engaging personas. Form a Hypothesis: With the help of the data, you will group the personas and how they differ from other personas. Everyone accepts the Hypothesis: Goal is to support or reject the first hypothesis on the differences between the user with the help of the initial knowledge and confronting with the project participants. Establish a number: You will decide the final number of personas, consider making more than one personas for the product, but choose one persona for your primary focus. Describe the personas: Working with personas is to develop a solution for the user and the needs of the user. so use as many ways to understand the user. Add the User education, lifestyle, interest, hobbies, goals, needs to understand more about the user. Add a few fictional details to make the personas more realistic. Give each persona a name and create a page long of user details with description. Prepare scenario for your personas: This engaging persona method is directed at creating scenarios that describe solutions. For this purpose, you should describe a number of specific situations that could trigger use of the product or service you are designing. Scenarios usually start by placing the persona in a specific context with a problem they want to or have to solve. Obtain acceptance from the organization: It is a common thread throughout all 10 steps that the goal of the method is to involve the project participants. As such, as many team members as possible should participate in the development of the personas, and it is important to obtain the acceptance and recognition of the participants of the various steps. In order to achieve this, you can choose between two strategies: You can ask the participants for their opinion, or you can let them participate actively in the process. Disseminate knowledge: In order for the participants to use the method, the persona descriptions should be disseminated to all. It is important to decide early on how you want to disseminate this knowledge to those who have not participated directly in the process, to future new employees, and to possible external partners. The dissemination of knowledge also includes how the project participants will be given access to the underlying data. 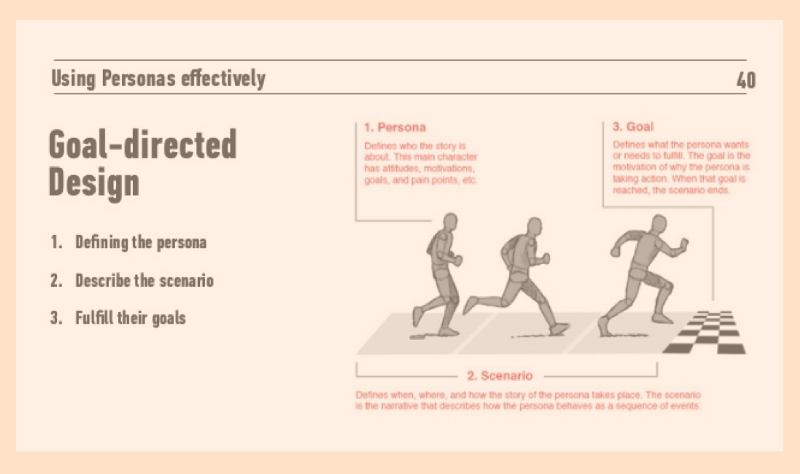 Everyone prepares scenarios: Personas have no value in themselves until the persona becomes part of a scenario — the story about how the persona uses a future product — it does not have real value. Make ongoing adjustments: The last step is the future life of the persona descriptions. You should revise the descriptions on a regular basis. New information and new aspects may affect the descriptions. Sometimes you would need to rewrite the existing persona descriptions, add new personas, or eliminate outdated personas.